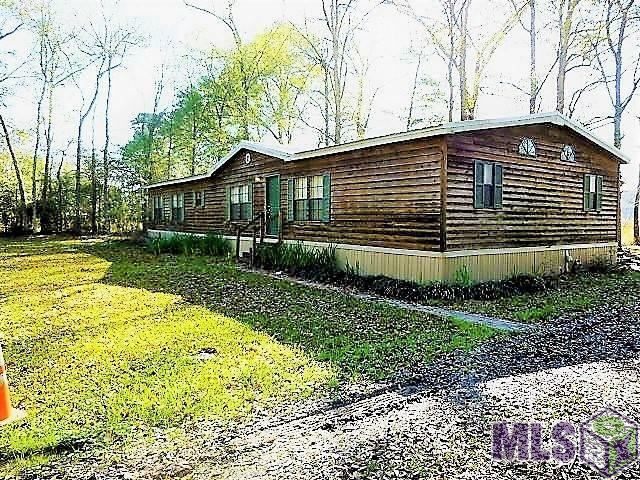 Sitting on 0.72 acres this beautiful Rustic Double wide is country living at it's finest. With it's well landscaped grounds and mature trees located in Denham Spring at the end of a quite Street. 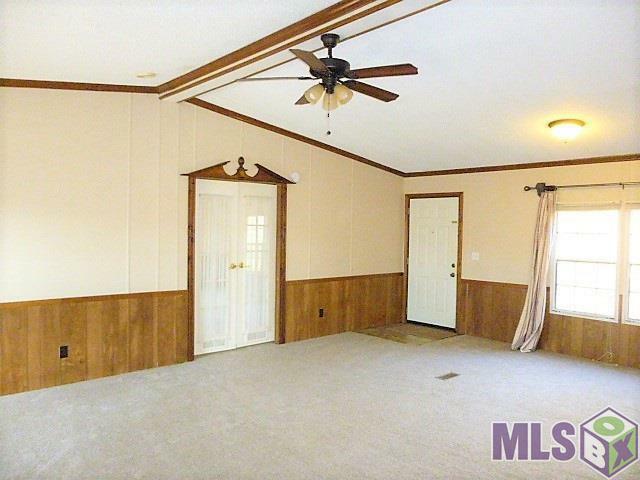 This Rustic double wide features 4 bedroom, 3 spacious baths ( MASTER HAS HIS AND HERS BATH). 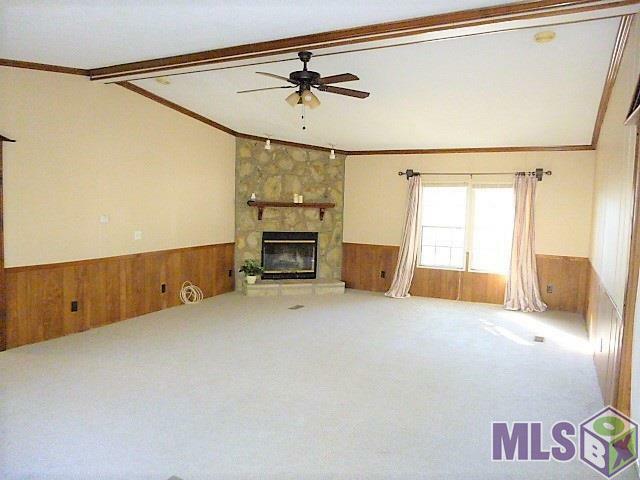 A wood burning fireplace and vaulted ceilings in oversized Family living room. The large Eat in kitchen with island and gas stove has plenty of space for cooking and storage and work with it's own built in computer desk. Off of the Family room double French doors leads the way to the master suite and En suite. Huge walk in closet that connects the his and her full baths. Property also includes utility/laundry room, covered deck, for those beautiful sunny country days,greenhouse/storage, wood siding and metal roof, and loads of land for gardening. 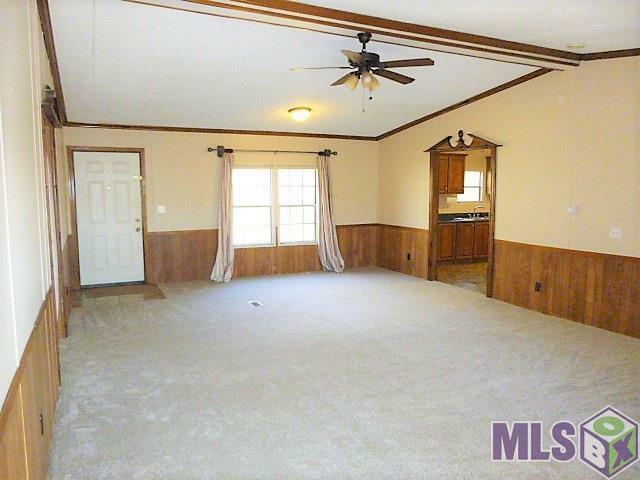 Property is conveniently located near restaurants and shopping. New paint in living Room, Kitchen Dining room, Hall and Laundry room. New carpet in living and Master Bedroom. New tile in Master Tub Bathroom, replaced carpet in Master shower Bath. New skirting all around Mobile home replaced water line and gas line. Gas line tested. Option of Electric or propane gas for kitchen range. Security lights on driveway and back door Electric is Demco, Water is Ward 2, Propane is Lacox, Cable is Cox, Phone is ATT.